Society has some interesting ideas about professionals. For the most part, we see them as the gatekeepers of knowledge. We seek out professional help when we want answers to things – when it's hard to identify what’s wrong on our own. A lot of the time, that’s totally appropriate. If you took your car to a mechanic because it was making a concerning noise and they responded, “What do you think is the problem?”, you’d probably roll out of there and take your car someplace else. After all, it’s their job to diagnose problems and do what’s necessary to fix them. Some people are surprised when they learn that therapy works differently than this. Because you’re a person and not an object like a car (unless of course you are a vehicle who has gained consciousness, in which case we’d love to meet you! ), different rules and expectations apply. Aside from purely physical treatments, like surgery or getting a tattoo, professionals don’t (and can’t) work on you – we work with you! And when it comes to therapy, the issues we help with are far more complex than a worn-out drive belt or a spark plug that’s on its last legs. The problems you bring in to counselling are multifaceted and nuanced, so when it comes to identifying what needs addressing, your perspective is the most important! If you’re just on the cusp of giving therapy a shot, but aren’t sure exactly what you want help with, fear not. This is actually one way counselling in Victoria BC can be really helpful. You might be struggling right now and not feeling all that skilled at doing life, but we want to acknowledge something important about you: You know your life better than anyone else possibly could. Even more than us professional counsellors! So where do we come in? Although we can’t honestly say “we have all the answers and know what’s best for every person on Earth”, we can offer our skill at helping you define your desires more clearly using questions you’ve probably never pondered before. A great way to start the process of identifying what you do want to change is by reflecting on what’s not working for you. Read this post for a little help and guidance through that process. 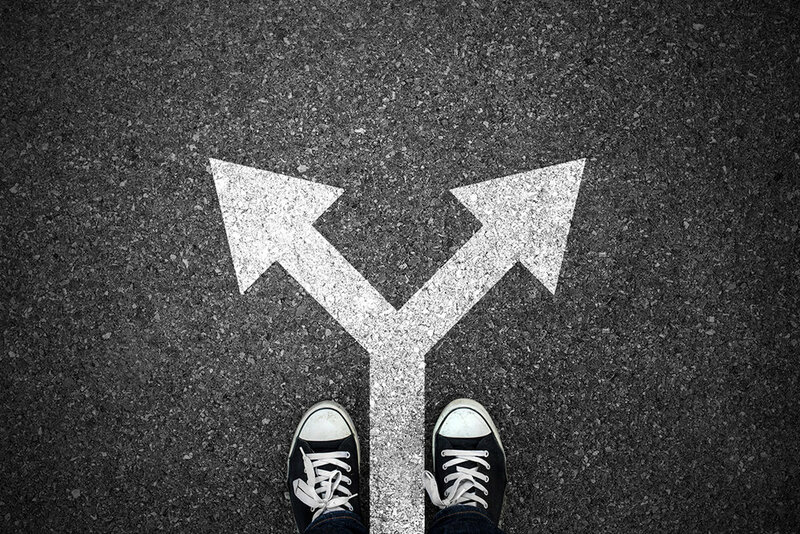 Once you’ve clearly defined what you don’t want, you can start to consider the preferred alternative. This is about flipping your complaints on their heads, finding the desire behind your resistance. For example, if you are fed up with feeling bored and lethargic, the more positive, complementary statement might be “I want to feel more energized and inspired”. It can be helpful to have exercises that get us thinking about the change we want to create. You can reflect on this process and more easily identify the tangible things that you do want. Below are some guiding questions and points that you can use to navigate this process. When you consider the various tangible things that you do want, what are the various feelings that you expect to experience in response to those things being realized? Do any of the following feelings resonate with your desires? When you consider these feelings, are there more tangible yearnings that correspond with them? For example, what are you passionate about? What brings you great joy and contentedness? When did you last feel courageous and bold? Who do you believe feels proud and confident in what they do? Might you feel that way in similar contexts? What do you need to feel different? What do you need to feel more happiness, more joy, peace, and general life satisfaction (or the feelings you desire to feel more of)? What do you see the people that you respect or admire most needing? And how do you know this is what they need? For example, if you admire your friends who are working in jobs that they are passionate about, what does that satisfy for them? Is it an expression of creativity? Is it a certain amount of money on their pay cheque? Is it the connections they have created in the workplace? Is it a supportive work environment? If you don’t know, what would it be like for you to ask? Perhaps not those exact questions, but inquire about what their day to day work life is like, and what benefits they recognize in it. If you’re concerned about burdening them, just ask yourself how you would feel if someone took the time to ask about your life. Would it feel burdensome, or perhaps more like an opportunity to connect? Another way to expand on your desires is to reflect on your past, and consider when you experienced more of the feelings you long for (ex. pleasure, joy, and satisfaction). What were you doing with your time? Who were you connected to and how would you describe those relationships? One of your greatest assets is your imagination. You can use this process as an opportunity to truly let your imagination run wild and consider alternative preferred experiences you wish you could have. Oh, and it’s okay if your imagination feels a bit rusty at first. What happens when you begin considering your biggest desires being fulfilled? How do you feel inside? What do you feel inspired or inclined to do? What do you feel wary or afraid of? How might you address those fears? When taking the time to imagine your preferred life, give yourself the space to really pay attention to what happens. Notice the buts... – those pesky thoughts that say “Impossible!” to the prospect of your dreams becoming a reality. What will you do if your desire is fulfilled? What actions will you take that are different? Where will you be? Will your surroundings stay the same, or how might they be different? How will you feel emotionally? Is there more excitement? Joy? Bliss? How will others respond? What might they say in recognizing the changes you have made and/or the desire you have fulfilled? Who will take notice and how will this be celebrated? In what ways will things be tangibly different? Are there any potential challenges that might arise in having your dreams realized? What fears, concerns, or worries come up when you consider your desires realized? 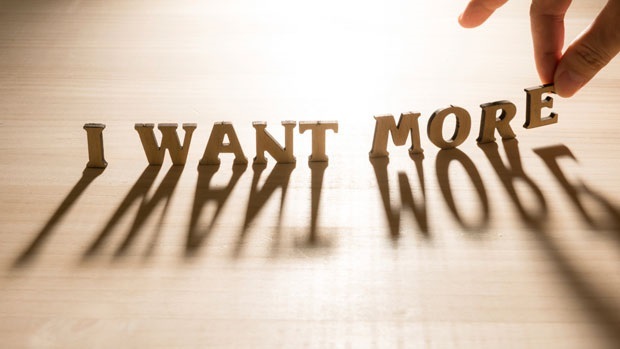 What would having your desires do for you? How about for others in your life? For your community? Having a clear sense of what it is you want to change or create is a necessary step along the path toward a life that's not just better, but beyond better! From here it's easier to determine the route to get to your desired destination. Stay tuned for our next post in this series on creating change. We'll help you assess where you’re at and your relationship to your desires. Do you have ways of setting goals and working toward making important changes? What are they? What do you find to be the hardest part of identifying what it is you want?